All of these special occasions need recording and it's lovely to create something more unique than a photograph. I have painted from a range of images to provide a long lasting record of special days. Paintings are given as gifts after the big event or on an anniversary. They can also be used to print thank you cards or Christmas cards. 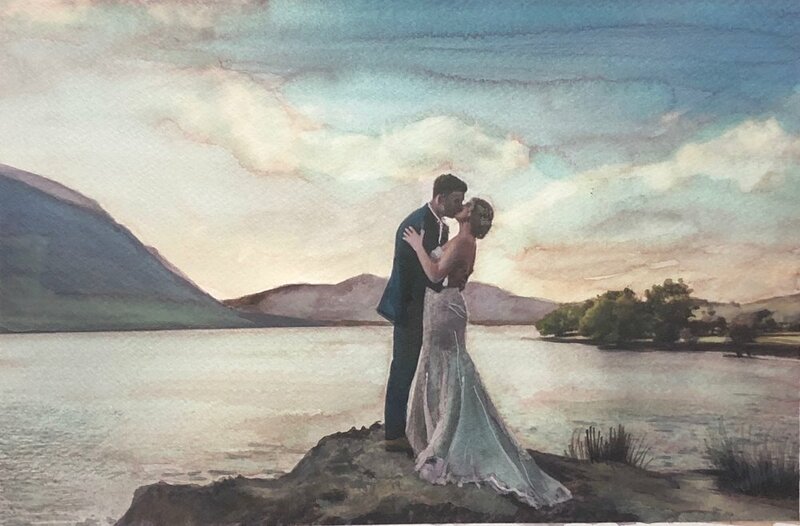 Watercolour paintings provide a delicate memory based on photos of a special occasion. The perfect gift after a special day. All I need to work from is a good quality photograph. Contact me to talk through your ideas.